살기좋은 세상, 유능한 사회복지사가 만들어간다! 鄭鍾和, “障害者の自立生活における介助サービス提供方法に関する研究” 社会事業研究 46 (2007): p.101-105. 鄭鍾和, “韓國における重度障害者自立生活における介助サ-ビスの提供方法に關する硏究” 日本障害學會 4(1) (2007): p.1-5. 鄭鍾和, “重度障害者の自立生活における介助サービス提供方法に関する事例研究” 社会事業研究 47 (2008): p.152-158. 정종화, “중증장애인의 활동보조서비스 제공기관별 만족도 비교연구” 재활복지 28(47) (2008): p.187-213. O. Misook Cho(2015). “A Study For Equation Of Poverty & Suicide Among South Korea\'s Aged People”, 2015 International Journal of Arts ＆ Sciences Annual Multidisciplinary Conference, IJAS, Toronto, Canada. O. Misook Cho(2015). “The Basic Study On The Children’s Life Raised By Grandparents On Poverty” 2015 International Journal of Arts ＆ Sciences Annual Multidisciplinary Conference, IJAS, Toronto, Canada. O. Misook Cho(2015). “Impact Of Witnessing Spousal Violence On Children : The Resilient Child And Prevention Strategies” 2015 International Journal of Arts ＆ Sciences Annual Multidisciplinary Conference, IJAS, Toronto, Canada. O. Misook Cho(2013). International Conference Interpersonal Violence Interventions : “Light ＆ Shade of the Act on the Prevention of Domestic Violence and Protection of Women Victims in South Korea”, 2013 International Conference IPVI, Jyvaskyla , Finland. O. Misook Cho(2013).\" Social Sciences and Humanities: A Study on the Issues ＆ Plan of Low Fertility and Population Policy of South Korea\", 2013 International Journal of Arts ＆ Sciences Annual Multidisciplinary Conference, IJAS, UNLV, Nevada, USA. O. Misook Cho(2013). International Conference Interpersonal Violence Interventions : “Social-Emotional Disturbance of Childhood which is exposed to Family Violence on the Lifespan in South Korea”, 2013 International Conference IPVI, Jyvaskyla , Finland. “The curse of family violence on children in South Korea”. 2012Joint World Conference, International Association of Schools of Social Work, Stockholm, Sweden. O. Misook Cho(2013).“A Study on the Improving Support Service system for Women Victims of Violence in South Korea”, 2013 International Journal of Arts ＆ Sciences Annual Multidisciplinary Conference, IJAS, UNLV, Nevada, USA. O. Misook Cho(2012). Envisioning New Social Development Strategies Beyond MDGs, “The harmful effects of Domestic Violence and Intervention to Protect Children. 2012 ICSD-Asia Pacific Conference, Yogyakarta, Indonesia. O. Misook Cho(2012). “A study on school life of Grandparenting children in poor area of south korea”, 2012Joint World Conference, International Association of Schools of Social Work, Stockholm, Sweden. O. Misook Cho(2012).“Children as the victim of violence and protection of children’s rights”, 5th International School Social Work Conference 2012,Accra, Ghana, West-Africa. O. Misook Cho(2012). “A study on Improving the Institution of Human Rights Protection for Married Immigrant Women in Korea”, 2012 ICSD-Asia Pacific Conference, Yogyakarta, Indonesia. O. Misook Cho(2012).“Challenges and Opportunities as a School Social Worker in South Korea” 5th International School Social Work Conference, Accra, Ghana, West-Africa. O. Misook Cho(2011).“Social Welfare Service of South Korea ＆ effect on Quality of Human life”, 2011International Multidisciplinary Conferences, Rome, Italia. O. Misook Cho(2010). “Strengthening Family in the Education of Prevention of Children who are exposed to Domestic Violence in South Korea”,ⅩⅤⅢ International Congress on Child Abuse and Neglect, Honolulu, Hawaii, USA. O. Misook Cho(2010). “Nonviolence problem solving training program for children in Korea”, 2010 Joint World Conference on Social Work and Social Development: The Agenda.\" International Association of School of Social Work /International Council on Social Development/International Federation of Social Workers, Hong Kong. O. Misook Cho(2010). \"Social Service-Learning Activity Curriculum for Adolescence on Sustainable Development\". 2010 Joint World Conference on Social Work and Social Development, International Association of School of Social Work/ International Council on Social Development/IFSW, Hong Kong. O. Misook Cho(2009). “Bullying & Abuse of Power: Empowerment of Children who are exposed to Abuse in Korea”.1st Global Conference From the playground to International Relations\" , Salzburg, Austria. O. Misook Cho(2008).“The factors of effect on acquirement of non-violence problem solving method on the child who exposed to family violence” The 56th Japaness Society for the Study of Social Welfare. Okayama, Japan. O. Misook Cho(2007). “Rights of children who is exposed to domestic violence in Korea”, 15th ICSD International Symposium, International Consortium for Social Development, Hong Kong, China. International Consortium for Social Development, Hong Kong, China. O. Misook Cho(2007). “Contemporary Problems and Directions of Rural Community Welfare in South Korea”, 15th ICSD International Symposium, International Consortium for Social Development, Hong Kong, China. ¤ Misook Cho(2006). “Psycho-social problems of children from wife-battering families & issues on the context of korean culture”. World Conference International Federation of Social Workers 2006 :A World out of balance, Deutscher Berufsverband fur Soziale Arbeite.V. , Munich, Germany. ¤ Misook Cho(2006). “Characteristics between male and female children in the domestic violence families & planning for a school social work program”. The 3rd International School Social Work Conference: International Trend & Prospects of School Social Work, The Korean Society of School Social Work, Pusan, Korea. ¤ Misook Cho(2005). \"Son & Daughter who is exposed to domestic violence\", 18th asia-pacific social work conference 2005, The International Federation of Social Workers(IFSW), Asia-pacific Association for Social Work Education, Seoul, Korea. ¤ Misook Cho(2005). \"A Study on Effectiveness of Group Program for Family Violence Assailant\", The Korean Association of Family Welfare, Seoul, Korea. ¤ Misook Cho(2004). \"The Hidden Victim in Family Violence\". Global Social Work Congress 2004. Reclaiming Civil Society, International Federation of Social Workers, International Association of Schools of Social Work, Australian Association of Social Workers, Australian Association for Social Work and Welfare Educations, Adelaide, Australia. ¤ Misook Cho(2004). \"The Impact of Family Violence on Mental Health of Adolescents. The Second Asian Congress of Health Psychology, Asian Society for Health Psychology, the 600th Anniversary Hall, Sungkyunkwan University. Seoul. Korea. ¤ Misook Cho(2004). “Mental Health of Children Exposed to Wife Battering in South Korea”. The Forth International Conference on Social Work in Health & Mental Health, Quebec city, Canada. ¤ Misook Cho(2004). 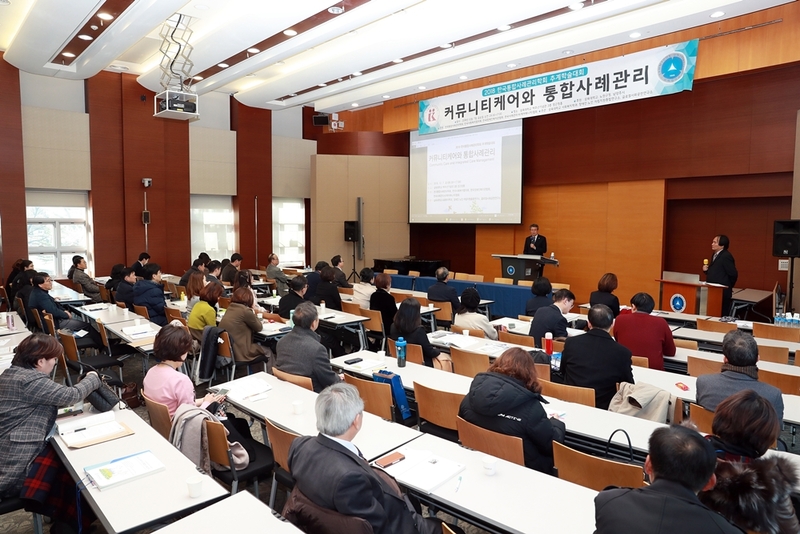 “The Challenges of Screening for Prevention of Domestic Violence in Korea. The Second Asian Congress of Health Psychology, Asian Society for Health Psychology, the 600th Anniversary Hall, Sungkyunkwan University. Seoul. Korea. ¤ Misook Cho(2004). “Myth of Intergenerational Transmission of Violence in South Korea.”.The Forth International Conference on Social Work in Health & Mental Health, Quebec city, Canada. ¤ Misook Cho(2003). “Witness to Domestic Violence and Child Adjustment: Research Issues and Directions on School Social Work in Korea”. The Second International School Social Work Conference. Stockholm, Sweden. ¤ Misook Cho(2003). \"Child & Adolescence of Crisis Family and School Social Work in South Korea\" The 1st International Mongolia-Korea-Japan School Social Work Conference, Ulaanbaatar, Mongolia. ¤ Misook Cho(2003). “Task & Prospect of School Social Work I in South Korea\", The 1st International Mongolia-Korea-Japan School Social Work Conference, Ulaanbaatar, Mongolia. ¤ Misook Cho(2001). “Family Violence and Problem of Child Adjustment in South Korea”, Raum des Sozialwesengebaudes. Am Donnerstag, University of Friedensau, Germany. O. Misook Cho, Moonhyuo Jo, (2018). The Effect of Global Citizenship Education on the Psycho-social Health of Adolescents, Asia-pacific Society of Convergent Research Interchange(APJCRI), ISSN: 2508-9080 , Vol.4, No.3, September 30 (2018), pp. 93-105. O. Misook Cho,(2018). A Study on The Psycho-Social Disturbance of Children Who Are Exposed to Domestic Violence : Focusing on Hierarchical Analysis Verification, Asia-pacific Society of Convergent Research Interchange(APJCRI), ISSN: 2508-9080 Vol.4, No.3, September 30 (2018), pp. 31-42. O. 조미숙,(2014). 폭력행동 현실인식이 가정폭력 가해자의 비합리적 사고변화에 미치는 효과에 관한 연구, 아시아교정포럼, 교정담론 제8권 제1호. O. 조미숙,(2012). 청소년자녀 성별에 따른 가정폭력 폐해에 관한 연구, 한국청소년복지학회 , 청소년복지연구,14권1호. O. 조미숙,(2011). 가정폭력 수강명령대상자를 위한 집단사회사업적 접근이 역기능적 자기신념체계 변화에 미치는 영향에 관한연구, 임상사회사업연구, 제8권1호. O. 조미숙,(2010). MDGs에 기반한 나눔학습활동이 대학생의 지적 정서적 효과에 미치는 영향, 홀리스틱교육연구 제14권 제3호 pp.51-70. O. 조미숙,(2009). “알콜중독자의 갈등관리행동 분석에 관한 연구” 임상사회사업연구(2009), 6권 1호 : 183-195. O. 조미숙,(2009). 홀리스틱교육 관점에서 아동의 폭력행동 감소를 위한 비폭력문제 해결방안\" 홀리스틱연구 13(2) : 123-139. O. 조미숙,(2009). \"역량강화 집단사회사업이 한부모가정 아동의 자아존중감에 미치는 영향\" 임상사회사업연구 6(3): 125-140. O. 조미숙,(2008). “홀리스틱교육에 기초한 지역사회 노인학대 예방교육에 관한 연구” 한 국홀리스틱교육학회, 홀리스틱교육연구 제12권1호, 101-119. O. 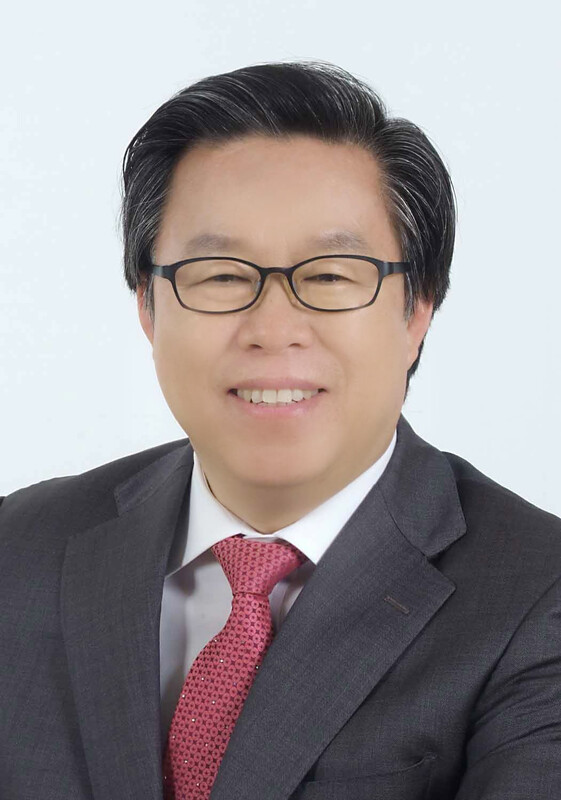 조미숙,(2008).\"알코올중독자의 갈등관리행동 분석에 관한 연구“ 한국임상사회사업학회 임상사회사업연구 제6권 1호, 183-195. O. 조미숙,(2007). \"가정폭력과 청소년폭력행동 관련요인 연구\" 한국임상사회사업학회 임상사회사업연구 제4권 3호, 171-189. O. 조미숙,(2007). “지역사회보호(Community Care)를 기반으로 한 독일의 장애아동교육 서비스에 관한 연구”, 한국지역사회복지학회, 한국지역사회복지학 제21권, 115-132. O. 조미숙,(2007).“대학사회봉사와 지역사회 청소년봉사인식개선을 위한 복지교육”,한국 홀리스틱교육학회, 홀리스틱교육연구 11권 1호, 133-153. O. 조미숙,심의경(2007). \"제3섹터간의 연계를 통한 노인의 일자리창출근거에 관한 연구 “한국임상사회사업학회, 임상사회사업연구 제4권 2호, 209-229. ¤ 조미숙,(2006). “삼육대 보건복지통합교육을 기반으로 한 케어매니지먼트 모델 구축에 관한 연구”, 한국임상사회사업학회, 한국임상사회사업연구 제3권2호, 155-178 . ¤ 심우영·조미숙,(2006). “사별여성노인의 사회참여활동이 심리사회적 적응에 미치는 영향에 관한 연구”, 한국임상사회사업학회, 한국임상사회사업연구 제3권3호, 109-128. ¤ 조미숙(2005). “Foster Home Care 경험이 위탁가정 및 위탁대상아동에게 미치는 심리 사회적 변화에 관한 질적 연구”, 사회복지실천, 서울여자대학교 사회복지연구센터 : 21- 50. ¤ 조미숙(2005). “증가하는 결손가정과 아동보호에 관한 연구”, 한국임상사회사업학회, 한국임상사회사업연구 제2권2호,185-203. ¤ 조미숙(2005). “T-집단을 통한 집단사회사업실천가양성을 위한 교육과정” [한국임상사회사업학회], 임상사회사업연구 제2권1호, 227-248. ¤ 조미숙(2004). “학생인권을 위한 사회복지적 접근에 관한 연구”‘ [한국청소년복지학회], 청소년복지연구 제6권1호, 37-52. ¤ 박권수·조미숙(2004). “PBL을 활용한 인지-행동집단치료의 유용성: 가정폭력가해자 집단을 중심으로”, [삼육대학교], 논문집 제38권, 79-90. ¤ 조미숙(2004). “사회복지기관 자원봉사자 활용실태와 과제”, [한국지역사회복지학회], 지역사회복지운동 제14권, 153-176. ¤ 조미숙(2004). “가정폭력수강명령대상자를 위한 RET집단프로그램의 효과성”, [한국임상사회사업학회], 임상사회사업연구 제1권1호, 23-40. ¤ 안영철·명지원·조미숙(2004). “아드라코리아(ADRA KOREA)의 사회적 책임성에 관한 연구”, [삼육대학교], 논문집 제38권, 167-178. ¤ 조미숙(2004). “독일의 학교사회복지에 관한 고찰”, [한국학교사회복지학회], 학교사회복지 제 7권, 25-48. ¤ 조미숙(2003). “가정폭력예방을 위한 가족복지실천 모형구축에 관한 연구”, [삼육대학교], 논문집 제37권, 99-116. ¤ 조미숙(2003). “가정폭력과 자녀의 자아존중감에 관한연구” [한국홀리스틱교육학회], 홀리스틱교육연구 제7권 2호, 75-88. ¤ 조미숙(2003). “성별에 따른 청소년비행 예측변인 추출과 보호관찰에 관한 연구” [한국보호관찰학회], 보호관찰 제3호, 163-184. ¤ 조미숙(2003). “부부폭력 목격 청소년의 공격행동에 대한 중재변인 연구” [한국청소년복지학회] 청소년복지연구 제5권 제2호, 85-101. ¤ 이정희·조미숙(2003). “동기화면접을 활용한 강점기반 사례관리 준거틀 개발에 관한연구“ [한국홀리스틱교육학회], 홀리스틱교육연구 제7권 2호, 99-119. ¤ 조미숙(2003). “아내구타에 노출된 아들과 딸의 문제행동 비교연구” [한국아동권리학회], 아동권리연구 제7권1호, 157-179. ¤ 조미숙(2003). “성 인지적 사회복지 교과과정 모형구축에 관한 연구” [한국홀리스틱교육학회], 홀리스틱교육연구, 제7권 1호, 113-132. ¤ 조미숙(2002). “한국의 아동복지체계 내에서 소년·소녀가장 가정에 대한 분석”, [삼육대학교] 논문집 제34권, 81-94. ¤ 조미숙(2002). “특별한 욕구를 가진 아동을 위한 독일의 Sonderschule에 관한 고찰: 바덴뷔르템베르크 주를 중심으로, [홀리스틱교육학회], 홀리스틱 교육연구 제6집 제2호, 157-170. ¤ 조미숙(2002). “가정폭력 방지를 위한 한국·독일·미국의 구타자 개입에 관한 연구” [삼육대학교], 논문집 제36권, 67-82. ¤ 박정숙·조미숙(2002). “여성알콜중독자의 생태체계관련 변인에 관한 연구”, [한국알콜과학회], 한국알콜과학회지 제3권 제1호, 131-146. ¤ 조미숙(2002). “가정폭력노출자녀를 위한 지역사회중심의 예방 및 조기치료개입에 관한 연구”, [한국지역사회복지학회], 지역사회복지운동 제11집,231-260. ¤ 조미숙(2002). “가정폭력가해자의 알콜중독이 아내구타에 미치는 영향에 관한 연구”, [한국알콜과학회], 한국알콜과학회지 제3권 제1호, 102-110. ¤ 조미숙(2002). “아내구타가정 아동의 적응유연성(Resilience)에 관한 연구”, [서울여자대학교 사회복지연구센터], 사회복지실천 Vol 2, 1-42. ¤ 조미숙(2002). “기능적 결손가정 청소년의 비행행동예방을 위한 중재요인에 관한 연구”, [한국형사정책연구원], 형사정책연구 제13권 제3호 통권 제51호, 131-166. ¤ 조미숙(2002). \"편모가족문제에서 Structural Family Therapy 모델 적용에 관한 연구“ [삼육대학교], 논문집 제35권, 95-111. ¤ 조미숙(2002). “가정폭력이 아동의 학교부적응에 미치는 영향에 관한연구”, [한국홀리스틱교육학회], 홀리스틱교육연구 제6집 제1호, 145-256. ¤ 조미숙(2001). “빈곤가족의 가족치료에서 영성활용에 관한 연구”, [한국홀리스틱교육학회], 홀리스틱 교육연구 제 5집 1호, 29-42. ¤ 조미숙(2000). “수강명령대상 가정폭력 가해자를 위한 집단상담 프로그램”, 법무부 서울 보호관찰소 제 1권, 1-134. ¤ 조미숙(2000). “사회복지에서의 홀리스틱 관점 고찰”, 홀리스틱교육연구 제 4집 2호, 한국홀리스틱교육실천학회, 105-120. ¤ 조미숙(1999) “가정폭력 목격이 자녀의 심리·사회적 부적응에 미치는 영향”, 한국가족복지학 제 4권, 한국가족복지학회, 295-326. ¤ 조미숙(1999). “아내구타가정과 아동의 적응 : 연구 논점과 과제”, 한국가족복지학 제 3권, 한국가족복지학회, 165-186. ¤ 조미숙(1999). “가정폭력이 청소년의 자아 존중감에 미치는 부적인 교차지연예언효과 감소를 위한 Group Work 모형 설계”, 삼육대 논문집 제 31권, 삼육대학교, 47-56. ¤ 조미숙(1999). “아내구타가정 아동의 심리·사회적 적응 관련 변인 탐색을 통한 사회사업적 접근에 관한 연구”, 박사학위논문, 서울여자대학교, 1-166. ¤ 조미숙(1998). “복지페미니즘 관점에서 살펴본 여성복지정책 분석에 관한 연구”, 삼육대 논문집 제 30권, 삼육대학교, 187-203. ¤ 조미숙(1997). “사회복지 교육에서의 여성문제 통합에 관한 연구”, 삼육대 논문집 제 29권, 삼육대학교, 87-100. ¤ 조미숙(1997). “인간관계 훈련을 지도하기 위한 Social Group Worker의 훈련 모델 개발에 관한연구”, 삼육대 논문집 제 29권, 삼육대학교, 101-116. ¤ 조미숙(1997). “집단상담에서의 목표설정에 관한 고찰”, 삼육대 학생생활 연구 제 1권, 삼육대학교, 183-194. ¤ 조미숙(1991). “집단사회사업에 있어서 인간관계훈련 모형도입에 관한 연구”, 석사학위논문, 서울여자대학교, 1-81. ¤ 조미숙(1988). “1984-1987년간 한림대학교 신입생 실태 경향분석”, 한림대학생생활연구 제 1권 제1호, 한림대학교 학생생활연구소, 1-28. O. 조미숙(2012). “가정폭력경험과 아동의 문제행동간 성차비교연구”, 2012한국아동복지학회 춘계학술대회. O. 조미숙(2012). 녹색ODA와 생태사회복지실천, 2012 Fall. 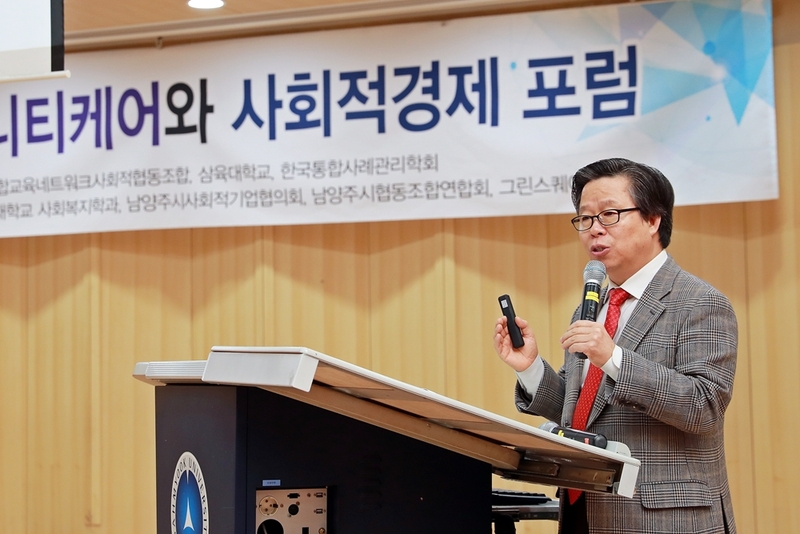 사회복지SU Colloquium. O. 조미숙(2011). “아동권리 협약 비준 20주년, 한국사회에 주는 의미-가정폭력의 폐해와 아동의 공격행동감소에 관한 연구”, 「2011, 한국아동권리학회 추계학술대회」. O. 조미숙(2011). “폭력가정아동의 비폭력문제해결학습을 위한 갈등대처기술분석” 2011한국아동복지학회 춘계학술대회 2011.05.14 . O. 조미숙(2011). “World Friends Korea 포럼:World Friends Korea통합시행의 의미와 향후과제”, 외교통상부. KOICA.2011. O. 조미숙(2010). “A Study on the Case Management of Alcohol Abuse ＆ Domestic Violence of the Multi-cultural Family”, 2010 Fall International Conference of the KSAS. O. 조미숙(2010). 폭력가정아동의 갈등대처기술에 영향을 미치는 요인에 관한 연구, 2010 한국아동학회 추계학술대회. O. 조미숙(2010). 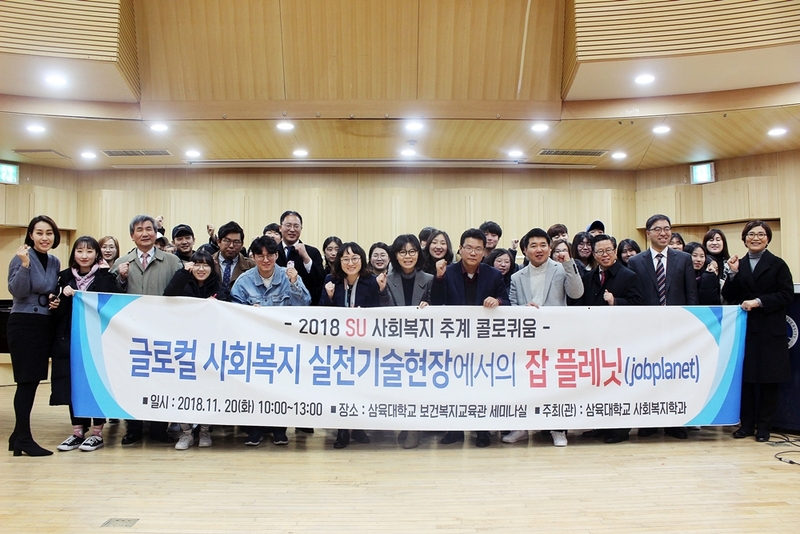 지역사회옹호를 위한 Glocal 대학사회봉사와 ODA, 2010, 1st\" SU Colloquium \" Institute of GSC· KOICA. O. 조미숙(2010). 다문화이해와 국제사회복지\"국제사회복지의 서막 : 비교문화론적관점\", 2010Fall, SU Symposium. O. 조미숙(2010). \"NGO/INGO 그리고 대학사회봉사\" , 2010Fall, SU Volunteer Corp.
O. 조미숙(2010). \"다문화사회와 사회복지\" 2010 한국임상사회사업학회 추계공동학술대회. O. 조미숙(2009). “경제적 위기와 조·부모. 손·자녀가정 아동의 양육문제형성과정에 관 한 시계열적 사례관리” 2009 공동춘계학술대회 한국아동학회, 한국아동권리학회, 한 국아동복지학회. O. 조미숙(2009). “빈곤 조.손가정 조부모의 알코올중독사례관리에 관한 연구” 2009 년 한국알코올과학회 춘계학술대회. O. 조미숙(2008).“A Study on effectiveness of social Group Work Program for the children who single parent family for social ability to strengthen”. 2008 한국아동 학회추계학술대회. O. 조미숙(2008). “Adolescent Welfare & Educational Welfare of Germany” 2008 한국 청소년복지학회창립10주년 기념 추계학술대회. O. 조미숙(2008). “A Study on the Analysis Conflict Tactics Behaviors of Alcoholism” 2008 한국알코올과학회 추계학술대회. O. 조미숙(2008). “지역사회네트워크를 통한 대학사회봉사” 2008 한국임상사회사업학회 춘계학술대회. O. 조미숙(2008). “가정폭력노출청소년의 비폭력문제해결에 영향을 미치는 요인” 2008 년 봄 아동. 청소년 공동춘계학술대회, 한국청소년복지학회/한국청소년시설환경학회. O. 조미숙(2008). “사회복지실천에서 본 사회적 배려와 홀리스틱교육” 2008년도 한국홀 리스틱교육학회 춘계학술대회. O. 조미숙(2008). “빈곤조손가족아동의 심리.사회적 적응을 위한 Case Management 연 구:시 계열적 문제형성과정 추적을 중심으로” 2008년도 한국가족복지학회 춘계학술대회. O. 조미숙(2007). “대학사회봉사에서 복지교육을 통한 봉사학습(SL)이 지역사회청소년의 봉사인식개선에 미치는 영향에관한 사례연구”2007년 한국청소년복지학회춘계학술대회. O. 조미숙(2007). “청소년기 손 자녀가 있는 조·손 가정에서의 생활스트레스에 관한 질 적 사례연구” 2007년 한국청소년복지학회 춘계학술대회. O. 조미숙(2007). “대학사회봉사와 지역사회청소년 봉사인식개선을 위한 복지교육”-대학 사회봉사활성화를 위한 발전방안, 2007정기총회 및 세미나, 한국대학사회봉사협의회. O. 조미숙(2007). “노인학대 예방교육 패러다임 :과제와 전망”, 사회정의와 노인학대 그 리고 노인인권, 2007 한국임상사회사업학회 춘계학술대회. ¤ 조미숙(2006). “지역사회와 연계한 외국의 대학사회봉사”, 2006 지역사회봉사 기관 수퍼바이저와 함께하는 세미나, 대학사회봉사 관리와 리더쉽: 과제와 전망, 삼육대 사회봉사단. ¤ 조미숙(2006). “삼육대 보건복지특성화 요양관리연계시스템 모델구축소개”, 맞춤형 노인요양관리 노원-삼육 연계시스템 모델구축세미나, 삼육대 보건복지특성화사업단. ¤ 조미숙(2005). \"가정폭력연장선상에서 본 아동의 문제행동과 학교폭력 : 그 해결과 대처방안\" Through Lookingglass DukYoung 2005/청소년, 우리의 희망, 덕영재단. ¤ 조미숙(2005). \"삼육대 Service Learning Model구축\", 사회봉사단 삼육대학교. ¤ 조미숙(2005). “삼육대사회봉사의 정체성과 발달과제”, 사회봉사단, 삼육대학교. ¤ 조미숙(2004). \"영성을 활용한 빈곤가족치료 봉사와 실천 기술\", 제5회 보건복지와 선교세미나-치료봉사와 구호봉사의 적용, 삼육대학교. ¤ 조미숙외(2004). \"개발NGO로서의 ADRA-KOREA 실태분석에 관한 연구\"제5회 보건복지와 선교세미나: 치료봉사와 구호봉사의 적용, 삼육대학교. ¤ 조미숙(2004). \"한국의 가정폭력예방 및 조기치료개입 전략을 위한 과제와 전망\", 2004 삼육대 사회복지학과 창립 10주년 기념학술대회, 삼육대학교. ¤ 조미숙(2004). “봉사학습(Service Learning) 활성화 전략과 방향” 사회봉사단 삼육대학교. ¤ 조미숙(2004). 청소년의 신체이미지 청소년신체발달의 심리사회적 의미, 2004 어린이 비만캠프, 경산시 보건소, 국제절제협회. ¤ 조미숙(2004). “청소년 비행에 있어서 남 ?녀 학생에게 영향을 미치는 위기 및 보호요인”, 2004 한국청소년복지학회 춘계학술대회. ¤ 조미숙(2003). “무너지는 한국가정과 가족복지 실천의 과제” 2003가족복지학술세미나, 가족중심의 사회복지실천과 과제. ¤ 조미숙(2003). “청소년 쉼터의 사례관리 및 슈퍼비전 : 문제와 발전전략”, 2003 한국쉼터협의회. ¤ 조미숙(2003). “가정폭력 가해자 상담 및 치료”, 2003가정폭력전문상담원 세미나. 법률 구조법인 한국가정법률상담소. ¤ 조미숙(2003). “폭력의 세대전달” 논박을 위한 가정폭력과 청소년폭력 중재요인 연구, 2003 한국청소년복지학회 춘계학술대회. ¤ 조미숙(2002). “한국에서의 가정폭력 연구동향과 과제” 2002 서울여자대학교 대학원 사회사업학과 추계학술 세미나, 한국임상사회사업의 방향과 과제. ¤ 조미숙(2002). “가정폭력 노출자녀의 Resilience: 예방 및 조기치료개입”, 2002년도 서울여자대학교대학원 추계학술세미나. ¤ 조미숙(2002). “독일 학교사회복지제도와 현황”, 한국학교사회복지학회 학술세미나, 한국학교사회복지학회. ¤ 조미숙(2002). \"청소년 비행행동예방을 위한 지역사회중심의 실천과제\", 지역사회중심의 사회복지 실천과 교육, 한국지역사회복지학회 학술세미나, 한국지역사회복지학회. ¤ 조미숙(2002). \"지역사회중심의 가정폭력 예방전략\", 2002년 한국지역사회복지학회 춘계 학술대회, 한국지역사회복지학회. ¤ 조미숙(1998). “아내구타가정 아동의 심리·사회적 적응관련 변인 탐색을 통한 사회사업적 접근에 관한 연구”, 1998년도 서울여자대학교 대학원 사회사업학과 추계학술세미나. ¤ 조미숙(1994). “아내구타가족사례연구”, 임상사회복지사 자신의 이해와 현대 사회의 질병, 「세계 가정의 해」기념 Aponte 교수초청 세미나, 가족사회사업연구회 / 대한의료사회사업가협회 / 한국정신의료사회사업학회. ¤ 조미숙외 2인 공저(2018). 사회복지실천론, 서울, 동문사. ¤ 조미숙외 공저(2017). 가족복지론(2판), 서울, 도서출판 신정. ¤ 조미숙외 공저(2017). 노인복지론, 서울, 양서원. ¤ 조미숙외 공저(2013). 교정복지론, 서울, 양서원. ¤ 조미숙외 다수공저(2013). 자원봉사론, 서울, 창지사. ¤ 조미숙외 다수공저(2012). 사례관리론, 서울. 학지사. ¤ 조미숙외 다수공저(2011). 사회복지실천의 이해, 서울. 동문출판사. ¤ 조미숙외 다수공저(2011). 가족복지론, 서울. 신정출판사. ¤ 조미숙(2010). 국제개발협력의 이해와 실천, 서울. 문예미디어. ¤ 조미숙(2010). 사회복지현장실습, 서울. 창지사. ¤ 조미숙,박언하,백현옥(2009), 아동복지론, 서울. 광문각. ¤ 조미숙외 다수공저(2008). “사회문제론”, 서울. 도서출판파란마음. ¤ 조미숙외 다수공저(2008). “사회복지학개론”,서울. 광문각. 교육방송교재, 사회복지실천론, WIDEPRO, 서울. EBS. 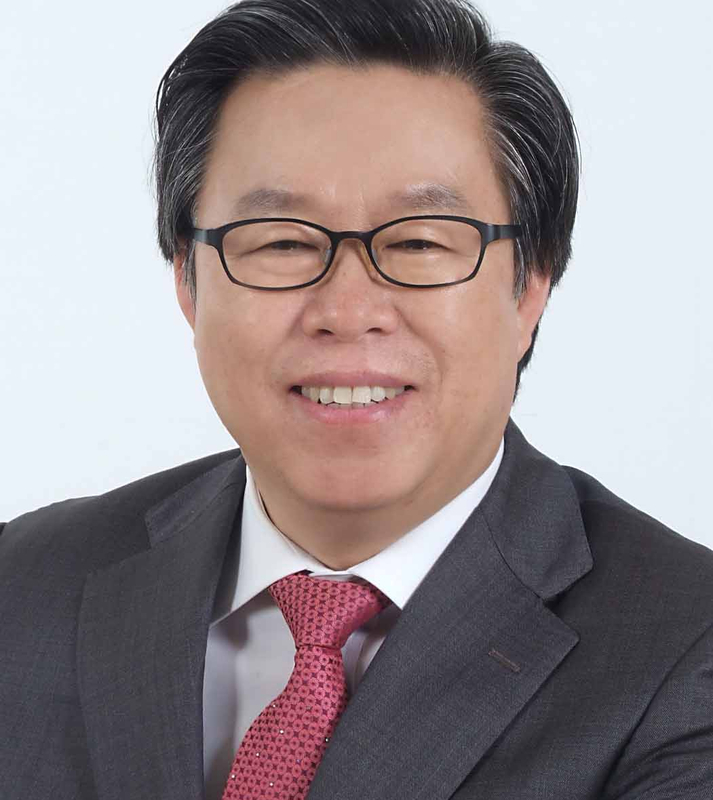 ¤ 조미숙(2007).“케어매니지먼트 실천기술론(Skill and Techniques for Care Management Practice)”, 서울. 삼육대학교출판부. ¤ 조미숙외 2인공저(2007). “형사사법복지정책론”, 서울. 청목출판사. ¤ 조미숙 외 4인 공저,(2006). “Care Management 사례관리”, 서울. 창지사. ¤ 조미숙(2006). 사례관리와 사회복지실천, 서울. 창지사. ¤ 조미숙 외 2인 공저,(2006). 가족건강 케어 레크레이션, 서울. 삼육대학교 출판부. ¤ 조미숙 외 19인 공저,(2006)“보건복지교육 총론”, 서울. 삼육대학교출판부. ¤ 조미숙 역(2005). “가정폭력이 아동 및 청소년에게 미치는 영향”, 서울. 21세기사. ¤ 조미숙외 3인 공저(2005). “신형사정책”, 서울. 형설출판사. ¤ 조미숙외 20인 공저(2004), \"학교사회복지의 이론과 실제“, 서울. 학지사. ¤ 조미숙외 다수 공저(2004). \"노인복지론“, 서울, 양서원. ¤ 조미숙외 다수공저(2004). “사회복지개론”, 서울. 현학사. ¤ 조미숙(2003).“사회복지와 실습”, 서울. 현학사. ¤ 조미숙(2003). “학교사회사업”, 서울. 현학사. ¤ 이윤로·조미숙 외 6인 공역(2003). “사회사업실천기술론”, 서울. 현학사. ¤ 조미숙외 다수감수(2001). “사회복지대백과사전”, 서울. 나눔의집. ¤ 조미숙·이윤로·윤혜미 공저(1999). “가정폭력과 사회복지”, 서울. 학지사. ¤ 조미숙 외 다수 공역(1999). “현대 집단사회사업”, 서울. 학문사. ¤ 조미숙 외 다수 공저(1998). “한국사회사업의 쟁점과 과제”, 서울. 학문사. Solution Focused Approach)”, 서울. 중앙적성출판사. 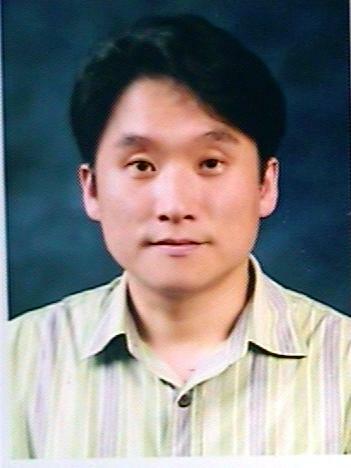 2001 독일 Universität Friedensau, Visiting Scholar. 2001 독일 Friedrich Voith Schule/OstSchule, Baden-Wurttemberg, Schule Soziale Arbeiter. ¤ 조미숙(2011). 외교통상부 KOICA과제수행: 대 파라과이정부 무상협력아동,청소년사업실시 협의. 파라과이 현지사업여건 및 정책자문수행 및 R/D사업체결, 외교통상부. KOICA.